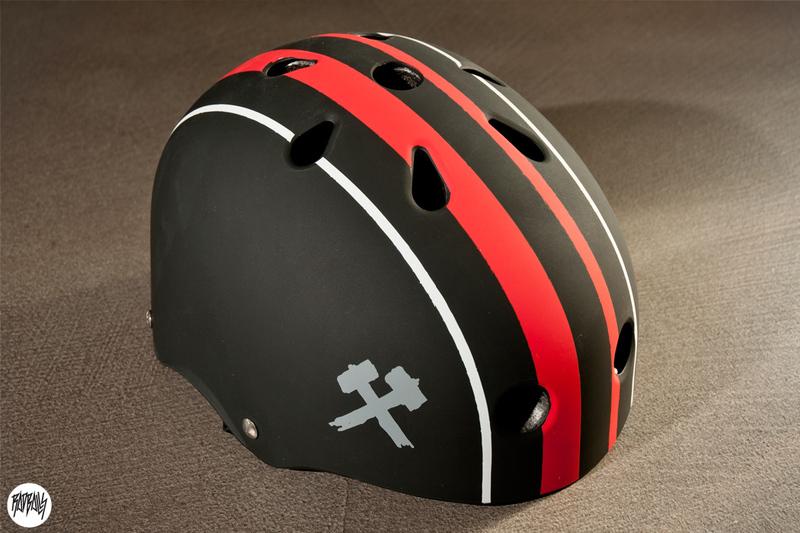 S-One Duane Peters Lifer Helmet. I think it’s safe to say, no one wants to wear a helmet. They are generally uncomfortable, get super hot on your head, and definitely are negative cool guy points with the fashion police. That being said, sometimes you want to get gnarly like the vert dogs and going big usually means going down. The S-One Lifer Helmet is a classic style helmet that is comfortable (as a helmet gets), sits lower on your head and comes in either a soft terry cloth liner padding or the CPSC certified hard foam option. 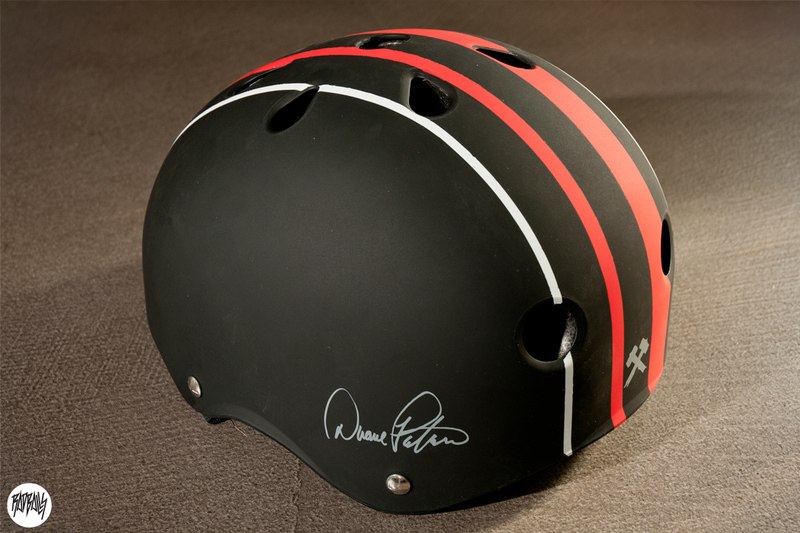 The Duane Peters Lifer Helmet is matte black with orange and white racing stripes so you will go faster. It also has Duane’s signature so everyone will know you are down with the Master of Disaster. If you are in need of some dome protection, check out the S-One Lifer Helmet… and remember to always buy from your local skateshop. We had the Rennies test out the helmet and it works. Well, we haven’t heard from Bill in a few days, so hopefully it worked. Bill and Tristan Rennie put the S-one Lifer Helmet to the test. That was hilarious. I thought it was a one try…go to print. Bill’s head took a jarring (especially on last one). Props Bill. Ya, never seen Tristan take that many tries to land something… pretty sure he was milking it. i bet he was , best post ever, that’s using your head .